Marshall Magnusen, Ph.D., is an Assistant Professor of Sport Management, teaching in the School of Education's Graduate Sport Management Program. Magnusen also serves as a faculty advisor to the Baylor Sport Management Association. Dr. Magnusen’s research focuses in four areas: (1) recruiting and personnel selection, (2) leadership and social effectiveness in sport, (3) organizational politics and political behavior in sport organizations, and (4) the allure of sport to participants, spectators, employees, and stakeholders. He is the author of numerous articles published in such journals as the Journal of Management, European Sport Management Quarterly, International Journal of Sports Marketing and Sponsorship, Sport Management Review, Journal of Sport Management, Career Development International, Sport Management Education Journal, International Journal of Sport Psychology, and the International Journal of Sports Science and Coaching. To date, he has published over 35 peer-reviewed articles and several book chapters and has made over 40 presentations at national and international conferences. Although Magnusen is primarily a quantitative researcher, he has experience in qualitative methods as well. 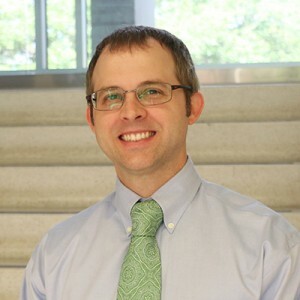 He is an Oral History Research Fellow at Baylor University, having received research grants from Baylor’s Institute for Oral History in 2012 and 2015. Baylor University’s Department of Athletics has recognized Dr. Magnusen as an exceptional teacher on more than one occasion. He received Outstanding Professor awards from the Athletics Department in 2014 and 2016.